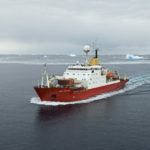 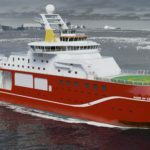 RRS James Clark Ross (JCR), launched by HM the Queen in 1990, is primarily a marine research vessel for biological, oceanographic and geophysical cruises. 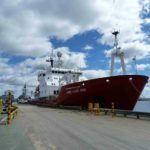 It is equipped with a suite of laboratories and winch systems that allows scientific equipment to be deployed astern or amidships. 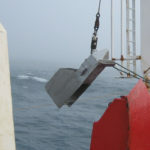 The ship has an extremely low noise signature, allowing the deployment of sensitive acoustic equipment. 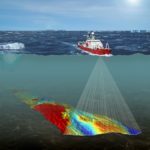 A swath bathymetry system was fitted in 2000. 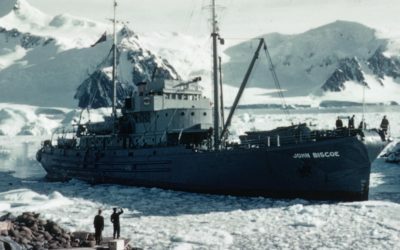 The JCR also carries out some cargo and logistical work. 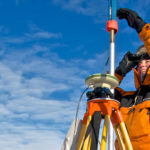 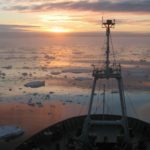 During the northern summer the JCR supports NERC research, largely in the Arctic. 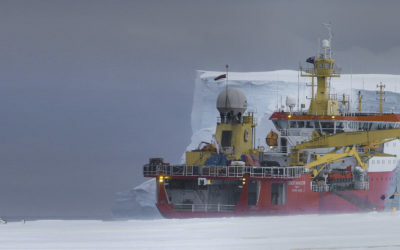 RRS James Clark Ross (named after Admiral Sir James Clark Ross, R.N.) 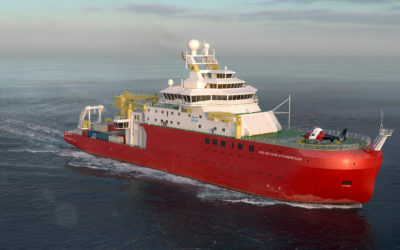 was built by Swan Hunter Shipbuilders, Wallsend, UK. 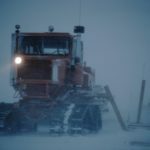 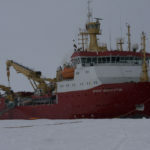 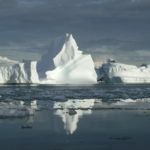 The vessel can steam at a steady two knots through level sea ice one metre thick. 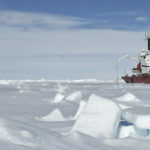 To assist passage through heavy pack ice a compressed air system rolls the ship from side to side freeing the passage. 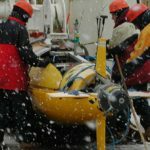 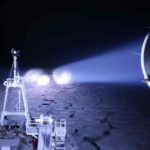 Researchers describe how they use robotic technologies to measure ice shelves and sea ice. 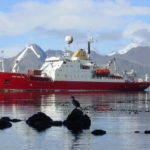 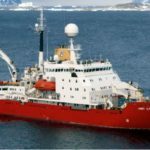 RRS James Clark Ross contains some of Britain’s most advanced facilities for oceanographic research. 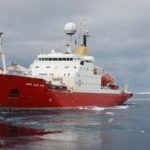 The ship is equipped for geophysical studies, with a compressor bank to power a seismic air gun array, and large aft and starboard decks for scientific equipment deployed by aft and midships gantries. 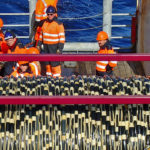 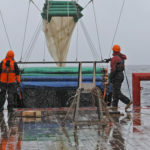 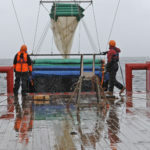 For biological studies, the vessel can deploy a wide range of sampling gear and benefits from modern underway instrumentation. 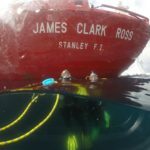 The ship is designed with an extremely low noise signature to allow sensitive underwater acoustic equipment to operate effectively. 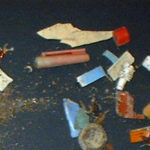 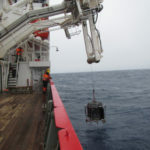 Some scientific equipment may be installed on board for the duration of a particular scientific cruise and removed at the end. 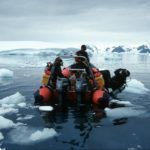 This equipment is not listed here. 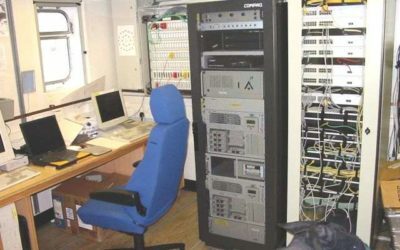 Local Area Network system with back-up is installed for cruise instrumentation and equipment. 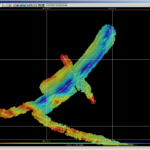 Instrumentation continuously logged on the central computing systems. 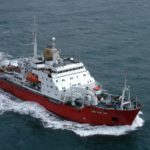 Facilities are available for data transmission via satellite to and from the ship. 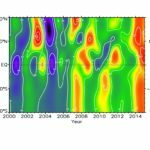 240 v 50 Hz 1 Ph clean supply to most areas – i.e. 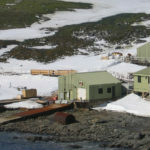 labs, cabins, workshops etc. 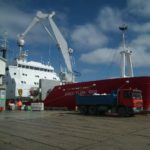  Facilities and services for four containers on aft deck and one container on the fwd deck. 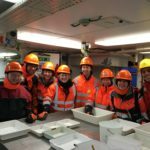 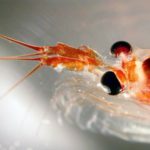 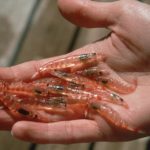 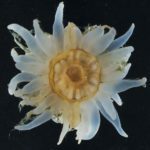 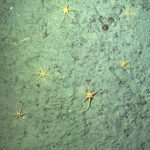 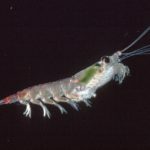 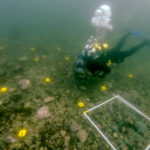 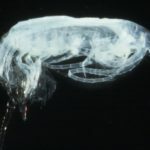 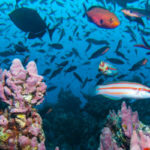 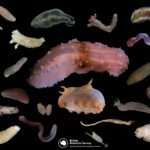 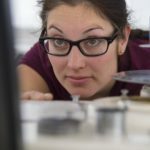 SCIENCE IN THE SEA – Part 2: Busy biologists! 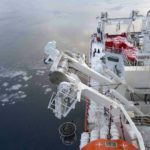 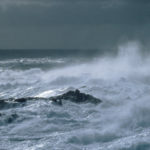 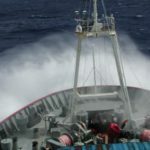 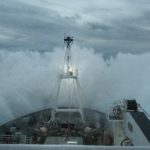 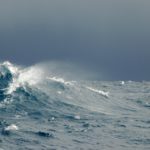 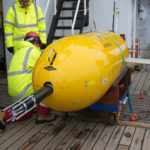 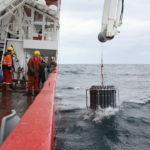 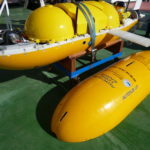 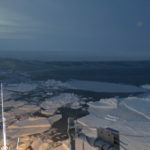 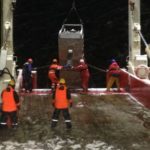 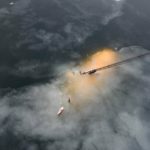 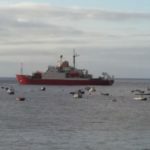 SHIP BLOG: New Buoy at Sea! 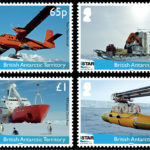 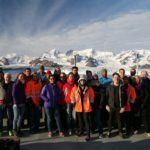 Find out about NERC Research Fellow Dr Sian Henley’s preparations for her fifth visit to Rothera Research Station and what she looks forward to onboard the RRS James Clark Ross. 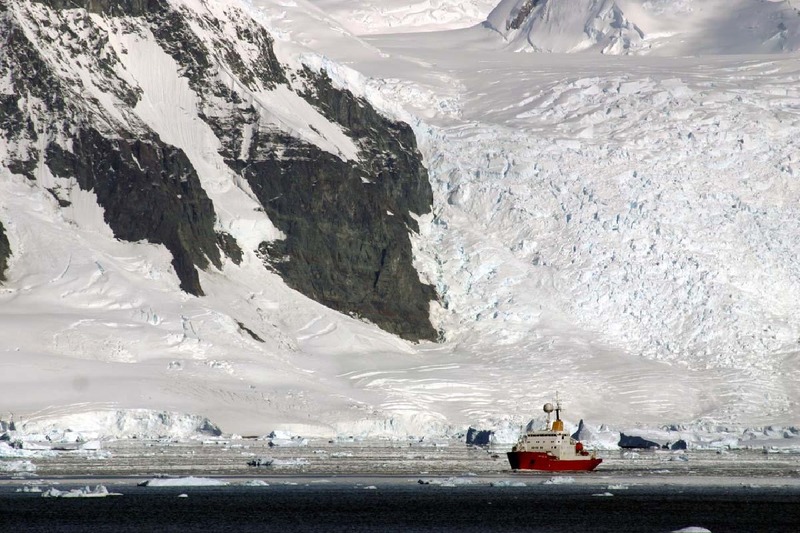 A new study looking at the implications of increased shipping activity and the impact on Antarctic marine biodiversity is published this week in the journal Global Change Biology. 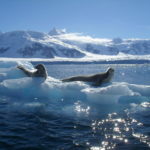 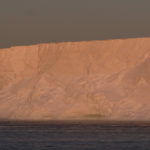 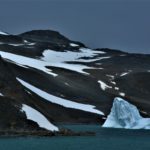 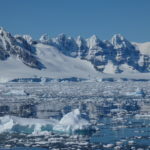 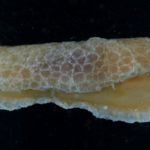 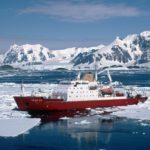 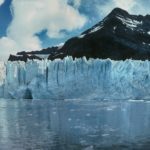 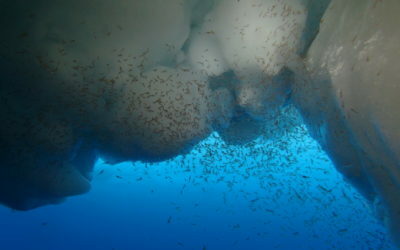 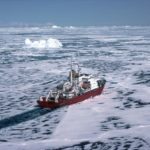 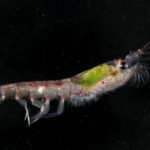 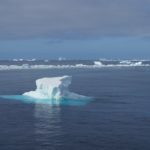 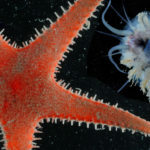 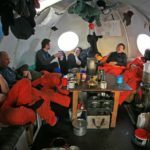 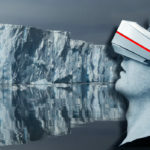 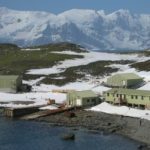 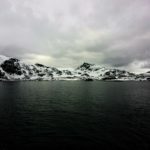 The research is an important step in the quest to understand whether invasive species, introduced by shipping, will find the Antarctic marine environment more hospitable as Antarctica’s climate changes. 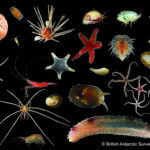 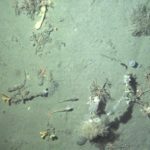 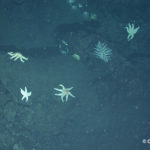 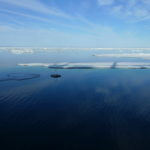 How much carbon can polar seafloor ecosystems store?